We seldom give importance to minor pains and niggles, but once the pain starts getting worse, your quality of life is greatly impacted by it. In fact, chronic pain can be extremely distressful. We do try to alleviate chronic pain by following standard protocol like ice and heat alternatively, over the counter anti-inflammatory medications, physical therapy, and joint pain specific exercises that can offer relief from pain temporarily. But when the above methods do not help, then acupuncture is an option worth giving a dekko. There have been many conjectures about whether acupuncture is really all that effective as it is made out to be, especially for conditions like chronic pain. Considerable research backed by an international team of experts has come up with the fact that acupuncture does help in reducing pain. Though it is not the last word spoken on the given topic, acupuncture can be regarded as a safe and effective alternative to conventional treatment, as it doesn’t have any side effects. The Acupuncturists use hair-thin needles to insert into the skin at certain points all around the body. Though many people are scared at the sight of these needles, it is virtually a painless procedure, especially when done by an experienced practitioner. According to Chinese Acupuncture, inserting the needles into the body helps correct imbalances in the flow of energy in the body, called qi (pronounced “Chi”). In western scientific terms, acupuncture is thought to alleviate the pain by impacting neurotransmitters, the immune system or the hormone levels. But for any new pain, acupuncture is not the first thing you should be seeking. Let the underlying cause of your problem be properly diagnosed and then you should go for the treatment in conjunction with the conventional treatment procedure. In Chinese acupuncture, the acupuncturist turns or twirls the needles slightly and also applies heat or electrical stimulation to enhance the effects of the treatment. There is a difference between the Japanese form of acupuncture and the Chinese acupuncture. The difference lies in the needles. In Japanese acupuncture, the needle insertion is comparatively shallower than the needles used in Chinese acupuncture, and the needles used aren’t usually manipulated. Korean acupuncture does things a little differently; they focus on applying needles to points in just the hands and feet. 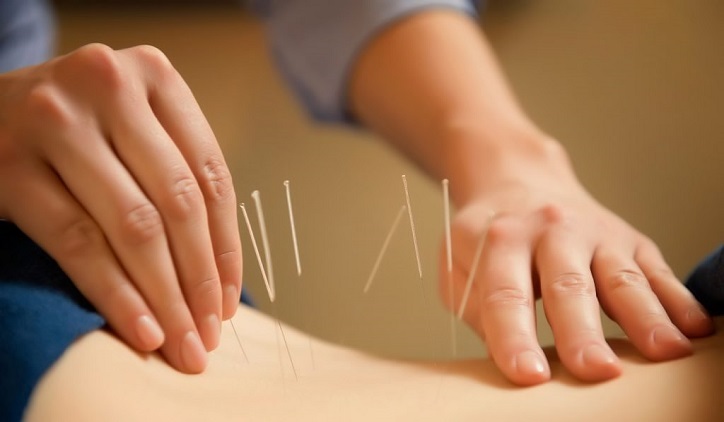 The acupuncturist usually inserts 4 to 10 needles and leaves them there in place for 10 to 30 minutes while you relax. A usual course of treatment can run up to a time schedule of three months, including about 6 to 12 sessions. Is Acupuncture Considered a Safe Approach? Acupuncture can be regarded as quite a safe procedure, and there are no noted complications to this treatment. In fact, there is only one serious problem noted from an acupuncture treatment, which accidental insertion, but incidents like these are pretty rare. The answer to the question whether acupuncture can have a positive impact on pain related conditions is mixed. Some studies have shown positive effects while some others have shown the opposite. It is more of a placebo effect, where patients feel better because they think that they will recover, even if they may not actually recover. These kinds of repercussions are understandable because most often the studies made on acupuncture have been pretty small. It needs more studies to back up these notions. Since the advent of “sham acupuncture,” the practice of acupuncture has come under a scanner. If you decide to try acupuncture, seek out an experienced acupuncturist. Licensing requirements differ from country to country. Find the one with the right credentials to flag off your acupuncture treatment! Pain can be of two kinds; acute and chronic, and can actually be in any part of your body. Traditional Chinese medicine and Acupuncture can help provide relief from both kinds of pain, and also help you differentiate between the two. Acute pain can be a result of several things like a sprain in the ankle, sudden locking of the elbow, and sudden twist in your arm or shoulder. Your nervous system intimates you with a signal sent to the nervous system that something is wrong. You need to stop the activity almost at once, and if things get worse, you need those affected areas to be checked immediately. Traditional medicine in conjunction with acupuncture can accelerate the healing process. It can reduce the inflammation and swelling, and also provide you relief from conditions resulting from it, like stiffness and pain. Acupuncture sessions for acute pain have to be done frequently to get any results and must span for a shorter phase of time. Acupuncture can help you to cope with a demanding job schedule and keep at it without feeling under the weather. There is a particular kind of acute pain that lasts really long and needs to be treated as long as you are suffering from it. 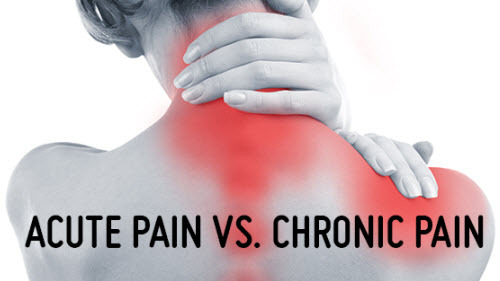 When it comes to chronic pain, most of the times it remains undiagnosed. Nobody can unravel the cause of the pain and the patients feel flustered as they do not get any relief from it and no amount of treatment can help alleviate the pain. Your traditional medicine practitioner or acupuncturist can help you in this regard; he/she can teach you the process of pain management. This kind of treatment helps individuals get relief from chronic pains and also does away with chronic pain and the imbalances which lead to pain. All patients are distinctly different and need different approaches to treating different diseases. Patients are prescribed different herbal medications that help control different kinds of pain. Every acupuncturist agrees on the one point that acupuncture is not one treatment fits all kind of procedures. Thus, Acupuncture does not just focus on eradicating pain but also on pain management. How acupuncture scores over other kinds of treatment is that the therapist does not need to diagnose you and know about the underlying cause of pain or problem for the treatment to begin. What acupuncturists need to understand is where is the pain originating from, since when and also how acute it is. In many cases, acupuncture has been successful in effectively unraveling the root cause of your chronic pain, and even when that is not possible, acupuncture helps improve the quality of life and is beneficial in reducing stress , fixing erratic sleep patterns, lifting and enhancing mood, and improving the life force as well. Despite the criticisms that come with this treatment, acupuncture is well worth trying for pain management. Imagine this, if you are suffering and nothing is helping you, and there is this treatment, that can improve your condition, placebo or not, without any harmful side effects, you’d give it a try, wouldn’t you? So, try this holistic approach to pain management and get satisfying results! Bipasha Mukherjee is a professional content writer at ModernReflexology.com. She has done her post graduation in English from The University of Calcutta and has flair to write articles on Massages, Acupressure, Reflexology, Acupuncture and Etc.